You can now get your hands on the new Clayster Scuf. Just one week after introducing a series of new controllers, custom controller maker Scuf Gaming has revealed another new product—a controller styled and branded for Call of Duty player James “Clayster” Eubanks. Clayster, the captain of FaZe Clan’s Call of Duty team, is one of the most popular and longest-standing veterans in the Call of Duty scene. He has been competing professionally since Call of Duty: Modern Warfare 2. As one of the most dominant assault rifle players in Call of Duty history, Clayster has the seventh highest career tournament earnings, at roughly $280,125. Playing for organizations such as compLexity Gaming, OpTic Gaming, Denial Esports, Team EnVyUs, and FaZe Clan, Clayster is tied for the sixth most tournament championships in Call of Duty history with 13. 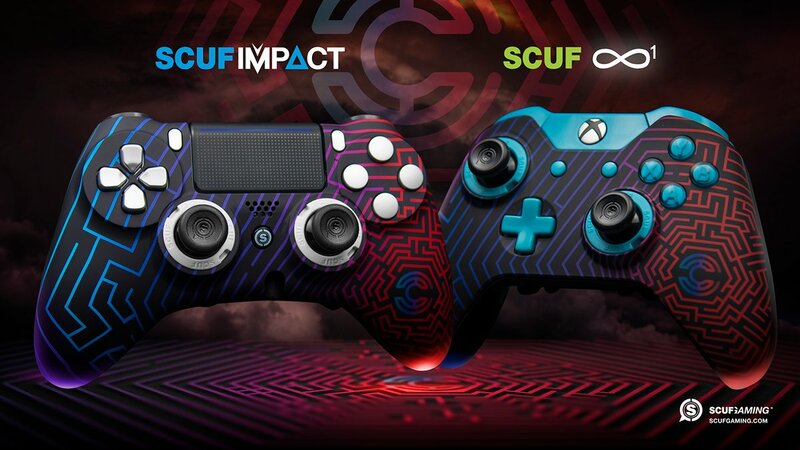 These Clayster-themed Scuf controllers feature a labyrinth-like pattern in vibrant shades of blue, purple, and red. And, of course, a C logo for Clayster is located in the bottom corner of the controller’s right handle. The Clayster Scuf theme is available in the SCUF IMPACT and Infinity controllers, which were both announced last week. Scuf explained the reasoning behind the unique design of the Clayster controllers on its website. “Sporting a brightly colored motif against a black shell, this maze inspired design reminds the world of the incredible twists and turns that Clayster’s career has taken, as he moved from one team to another, learning and evolving as he went,” the statement on Scuf’s website reads. The Clayster Scuf controllers are now available for purchase—and Clayster said that the first 20 controller and gamer bundle orders will also include a Scuf hat signed by the Call of Duty legend himself.